One of our happy babies' mothers said we should add something from parents and others who've had their babies photographed by us. After all, our business grew because of people talking to their friends about us. And your recommendations are worth far more than anything else we can say about ourselves. "I am just about to order our DVD but wanted to email you back and say how much we enjoyed our photoshoot. My daughter was photographed 3 years ago by Zac and now my son. it was a lovely experience for us as a family and Zac was really good." "What superb results Zac achieved. Brilliant!" "We had a great time at the shoot so thanks again!" "Yes, we loved the images that we received from our shoot together last year. They also made a lot of grandparents very happy as well! The hardest thing about the whole shoot was having to choose only 10 shots of Georgia to put into our order. The negotiations that took place in our house would've put world leaders to shame." "So happy with the pics I have seen, some crackers!" "Thank you once again for the photos. We all had a great time at the photo shoot and the photos are lovely"
"I am thrilled you want to use the photos as everyone who has seen them said they were wonderful. She had such a great time and the quality of your photography was second to none. I give my permission 100%"
"It's a lovely photo, you have done an amazing job, thank you"
"Thanks Zac, really looking forward to seeing them. We thoroughly enjoyed the shoot and I am recommending it to all my mummy friends"
"Dear Zac, I just wanted to say a HUGE thank you for your time at our underwater shoot on Saturday 25th October. It was such a pleasure to meet you and was such a memorable experience. I am so glad we chose you to take our underwater photos. I can't stop looking at them - thank you for taking the time with us to get the variations we wanted. Also I just wanted to let you know we had another shoot with another company the following day and it was poles apart from the experience and photos with you". "Thank you Zac, I have had a quick look and the photos are amazing. You have done a fab job with my daughters pics I'm so pleased we decided to come and have photos taken. Thank you again". "Hi Zac, the shoot was great fun thanks, now the only problem is choosing which photos to order. Thanks for your guidance during the shoot, you certainly know your stuff".
" Hi Zac I just wanted to thank you for the wonderful pictures you sent this morning, they are so special to us. These pictures are absolutely perfect. The grandparents are so thrilled and can't wait to have framed pictures up as soon as possible!!. Thanks again, we're delighted with the results".
" Hi Zac, these images are fantastic - thank you very much ! Kind regards ".
" Hi Zac - just to say that the images & print have arrived safely & look great." Thank you !" "Hi Zac thanks for the DVD and great pics amazing job,well done "
" Hi Zac, thank you so much for these - they are fantastic! Such a lovely thing to have done with Sophia. We are thrilled and the rest of our family will be too when they get their Christmas presents this year. :)"
"Hey Zac, just got the photos you took of Sophie……I am speechless, they are INCREDIBLE. Thank you so so so much". "Hi Zac, We love the images and the boys still talk about their lovely experience". "Zac - Thank you so much for a fantastic photo shoot on Saturday, the photos of our daughter are stunning and we really struggled to narrow them down to just 10! The whole experience has been great - the shoot itself was well organised, you provided great ideas and props for some fun images, the baby handler was very experienced and judged our daughters mood well, and even got a sneak preview whilst still in the water!. I can't wait for the final images to arrive, there will be one very happy grandma on Mothers Day :-)". "Hi Zac, thank you very much! think this is the best one of all;-) Good job on those pictures. You captured real happiness not just my son ;-) have a nice week. Katarina". "Thank you so much for the beautiful photos and for sorting it out so quickly, much appreciated. They really all look fantastic!" 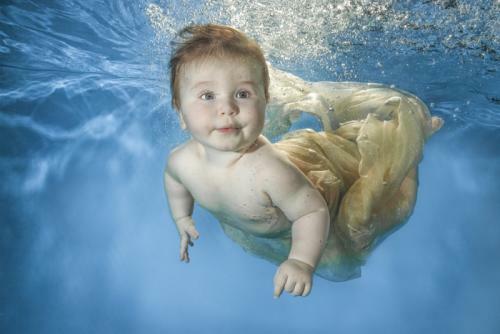 "As we mentioned at the photo shoot, we had looked online for underwater baby photos and were very impressed by Zac's work. We travelled from Birmingham to Wimbledon for a photo shoot. Our two boys were really relaxed throughout and the pictures more than met our expectations. Thank you!" "I saw an underwater photo of a baby over 12 years ago printed large hanging in a bathroom. I remember thinking if I ever have a baby and I'm in London, I'm going to do that. Well I did and made sure that I took Lucy to a swimming class that offered that. Just loving my rather large framed print of Lucy (6 months) swimming under water. Hanging proud in the bathroom. A big thank you to Zac Macaulay from Little Dolphin Images for this awesome shot." "I loved all the attention!" " I have just viewed my daughters photos from Sunday 5th June and they are absolutely amazing. I feel so emotional looking at them as they are just so good! Thank you so much! I also have to add how fantastic the whole experience was - you and Phillippa made us feel so welcome and comfortable. The whole set up was lovely and relaxed and the outfits/dressing up made it just that bit extra special. My husband and I really can't speak any more highly of you, we have been truly blown away and never stopped talking about the shoot for the last few days! Being able to show family and friends the photos today was the icing on the cake - everyone loves them. We just have the difficult task now of choosing which ones to purchase!! But of course will enjoy looking at the images over and over again. "Thanks so much for these-they're brilliant! Many thanks".
" Thank you so much, Zac, they are brilliant! Great work, you have indeed done magic to some fun shots to start with".
" Hiya Zac-just got the prints through today. They're lovely and will make fab Christmas presents!" "The Photos are fantastic, thank you so much. Merry Christmas".
" Thank you for Sunday's shoot! - I can't stop looking at the images, and have ordered my faves. Myself and Steve are super impressed with the whole experience. I am pregnant with our second child and he's already on the Squidgers waiting list, so I can't wait to do another shoot when you are back!" " Hi Zac, I wanted to say thank you so much for the lovely photos of Sophie - they look absolutely amazing!, best wishes Emma". "Good morning Zac, just received your print. It is absolutely fantastic. Thank you so much for your great job. Kind regards Helen".
" Ahhhh this is Alan's favourite too  we are loving the images, thank you so much"
"Thank you so much for your time and attention. We had a wonderful time and the images are beautiful. Thank you".
" I just wanted to say that I thought you and the lovely lady helping you were amazing. You are clearly very passionate about what you do, which is amazing to see and the lady assisting had a great report with the children and the parents. I bought the session for my husband for fathers day and he said he loved it. I am so excited about seeing the pictures, thank you so much". "Thank you Zac :) Im very amazed how you manage to get all of these beautiful pictures with our "little models". I think we got all our ideal pictures :) Have a lovely day K"
"Thank you Zac :) Im very amazed how you manage to get all of these beautiful pictures with our "little models". I think we got all our ideal pictures :) Have a lovely day K"
"Thank you so much - it was a wonderful experience and we are delighted with the photographs!. You were calm and patient with the babies (and parents!) and made the session fun too!" " Hi Zac, its is such a lovely photo which you skilfully took and worked on, we love the Nirvana cover and have had many compliments on the image!" "Zac, this isnt fair we love them all lol. We'll chose our favourites over the weekend and send them accross. Many thanks for your time and appologies for ours. Best regards Mr S"
"Hi Zac Thank you for getting these done so quickly they are beautiful. Thank you!" "Hi Zac Got them! They look amazing - we couldnt be happier with them! Thanks so much"
" Thank you so much for these Zac. We really love them! Best Wishes H"
"Hi Zac, Thanks so much, we downloaded the photos and absolutely love them! Best S"
"Thank you so much for all these photos, we are so happy with them all. We have quite a few already chosen and there is literally loads to choose from. Thank you for being so magical and getting the kids to do stunts underwater. Sunday was so positive and heaps of fun!!!!"